The great elephant turned her head from side to side and flapped her ears as she walked along…Dang Kiet sensed that Mae Jabu was not very happy today. When the big elephant Mae Jabu makes a visit to the village, the children are excited. But before long their lives are in peril as a tsunami strikes. The gentle Mae Jabu becomes their life saver as she lifts the young children onto her back and carries them to safety, out of reach of the rising waters. When the Boxing Day Tsunami hit Thailand and other Asian countries in 2004, it brought massive tragedy. But amidst the destruction there were also many amazing tales of survival, including tales of elephants who helped rescue people from the giant wave and its aftermath. The Day of the Elephant shares one such story. 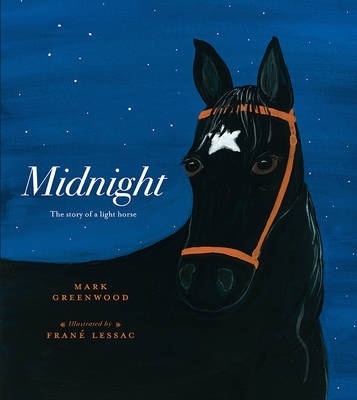 This inspiring tale is well complemented with the folk art illustrative style of Frane´ Lessac with bold colours and simple yet telling depictions of the various scenes. Royalties from the sale of The Day of the Elephant have been donated to the Asian tsunami aid effort.